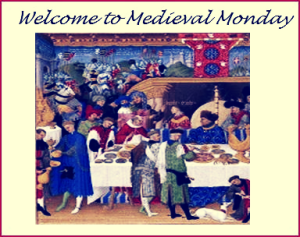 I welcome Vijaya Shartz on Medieval Monday to share book one in her Curse of the Lost Isles series, Princess of Bretagne. About the Curse of the Lost Isle series: From history shrouded in myths, emerges a family of immortal Celtic Ladies, who roam the medieval world in search of salvation from a curse… but if the Church ever suspects what they really are, they will be hunted, tortured, and burned at the stake. 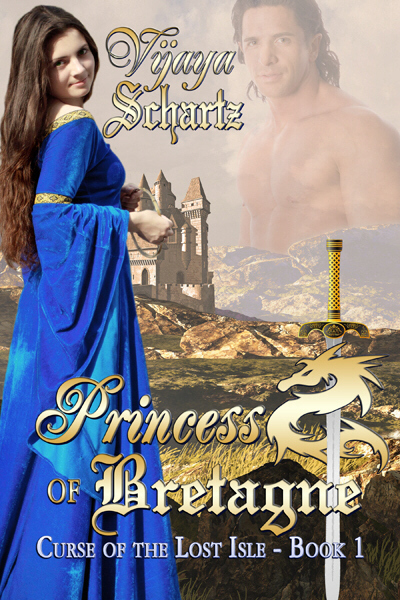 As the Vikings raid the coast of Alba, Pressine of Bretagne sets out to seduce King Elinas of Dumfries, chosen by the Goddess to unite the tribes against the foreign invader. Elinas, still mourning his departed queen, has no intention to remarry. Head strong and independent, Pressine does not expect to fall for the very attractive, wise and noble ruler… Furthermore, her Pagan nature clashes with the religious fanaticism of the king’s Christian heir, who suspects her unholy ancestry and will stop at nothing to get rid of her. “Whatever made you think you could violate the apartments of my beloved queen?” Stopping short in the middle of the room, Elinas glanced around, eyes wide with disbelief. “You dare challenge me?” His surprise would have been comical, if not for the menacing tone. “The old linens were burned,” Pressine said with a calm she did not feel, as if lecturing a child. She rose to fetch the bundle wrapped in blue silk and handed it to him. “Her comb, mirror, distaff, spindle, and other keepsakes.” Pressine waved her hand, encompassing the room. “The apartments themselves will never look the way they did before.” She had made certain of that. Pressine showed none of the apprehension gripping her. 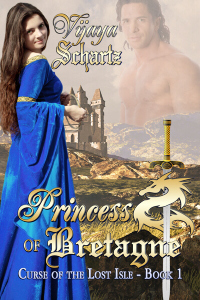 The king’s heart, beneath the leather gear, had more mettle than she anticipated. “I have enough Vikings, Angles, Picts and Scots to give me trouble. The gods know I do not want feuds in my home.” Stillness made his stare frightening. “I should throw you to the wolves!” His voice boomed. “Defenseless?” The king’s face reddened.